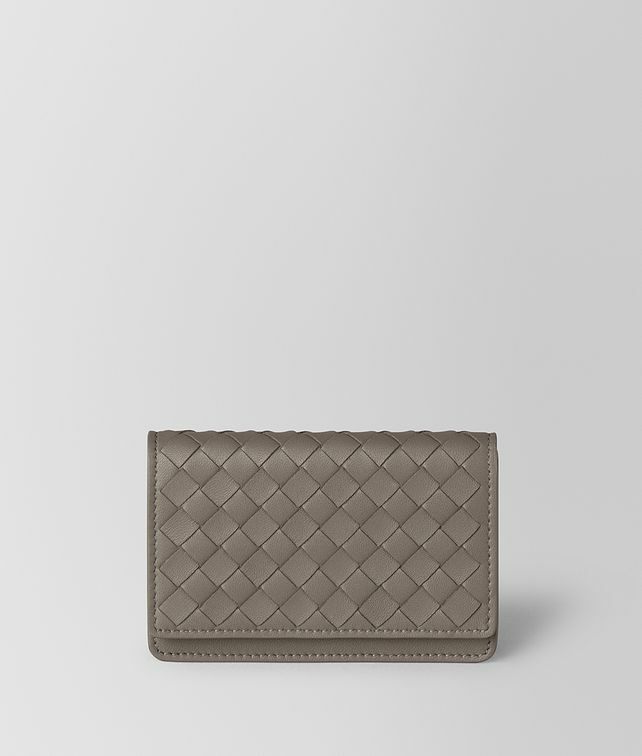 This elegant card case is crafted from smooth nappa leather with a woven intrecciato panel. The pragmatic design opens to a single card slot and compartment for notes. It also features an additional flat pocket at the back.